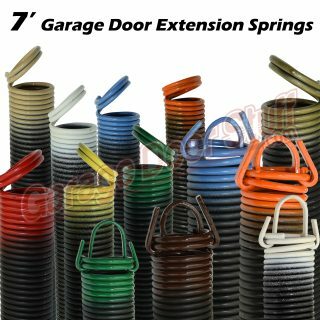 Extension springs for 7′ tall garage doors. All have double loop ends with the exception of the 200, 210 & 220# springs, they have clipped ends. We highly recommend that you replace springs in pairs. 1 – Typically both springs are of the same age and wear, since one has broken, typically the second spring will reach the end of it’s cycle life and also break soon. 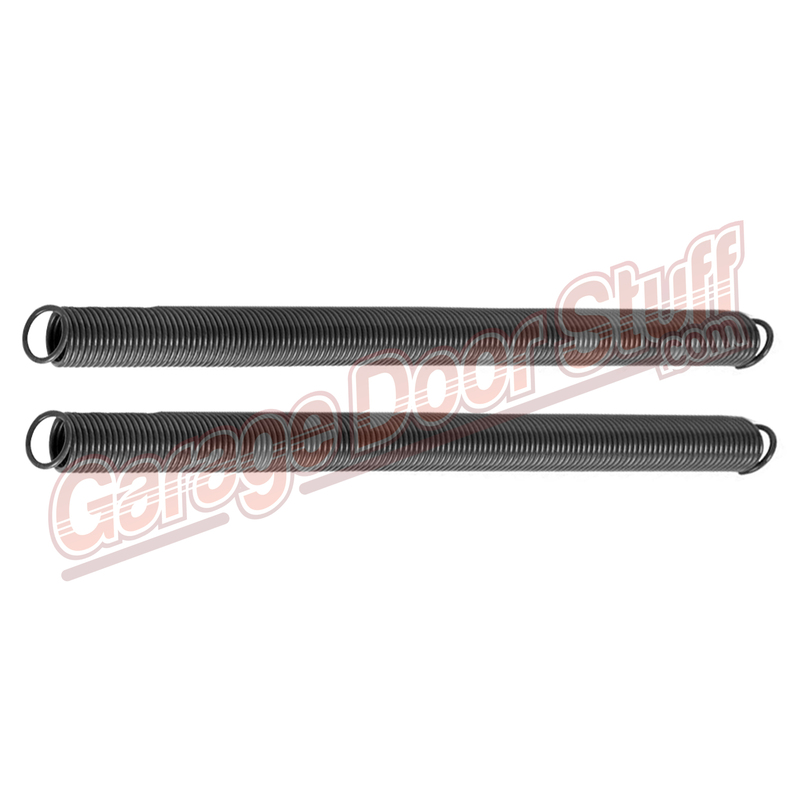 2 – The newer spring will have more pull than an older spring and this will cause the door to open and close with an unequal amount of pull on both sides and that can cause damage to the door, the garage door opener and is unsafe. See our Safety Cable tutorial HERE. 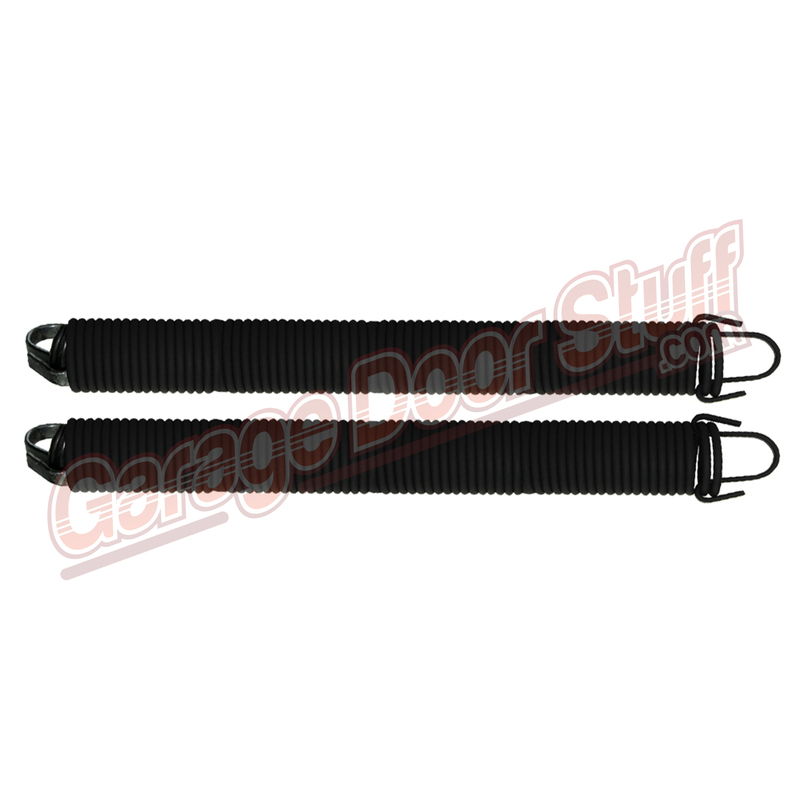 It is also highly recommended that this type of garage door spring has a safety cable running through it to prevent the spring from becoming a projectile in the event of spring, cable or bracket failure. 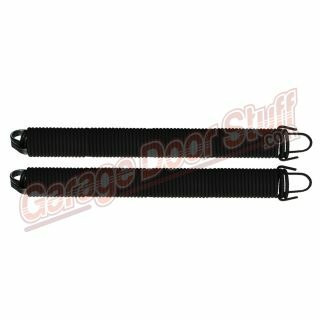 Safety cables are the single most important item on any extension spring garage door. 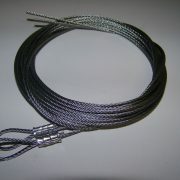 We provide a free safety cable with each order. 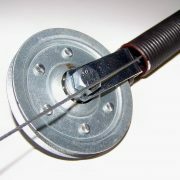 In addition to safety cables, when replacing springs on extension spring doors, check the pulleys. The pulleys have bearings and do wear, replace as needed. It is also a good time to replace the lift cables if needed. Check for any frayed areas and closely inspect the cable at the very bottom of the loop that is attached to the bottom bracket. That area is close to the ground and is susceptible to moisture, this is the most common area that a garage door cable will fail. We stock springs for 7′ & 8′ doors and can special order extension springs for ANY garage door and get them to you quickly. Email us with the door weight (not sprung) and the door height and we can provide a quick quote. This listing is for 7 foot tall garage doors. Also add a pair of door cables HERE. 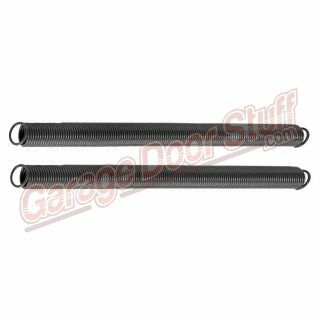 Garage Doors should be lubricated twice a year. All metal to metal parts, rollers, hinges, pulleys and so forth need lubrication. When doing your spring replacement it is a good time to tighten all hinges and other fasteners plus lubricate the door.